Vaseline to MVP! Re-Invent Yourself!!!! It’s funny that today out of all days I was thinking I need to re-evaluate my life…. I know once you hit your 30s it seems like life is at a standstill to say the least. As I was formulating a plan to re invigorate myself & blog I ran across a story that truly inspired me. Do you remember this NBA Standout ? This guy from Georgia Tech with immense potential (that many suggest that he didn’t live up to the hype) the guy who played for several NBA teams including the New York Knicks( where many said he was at the forefront of the Knicks dysfunction). The guy who was the poster child of jokes (thank god there wasn’t memes back then) after the MSG & Vasaline situation. What if I told you that this 38 year old former NBA Standout has completely changed the narrative of his life. 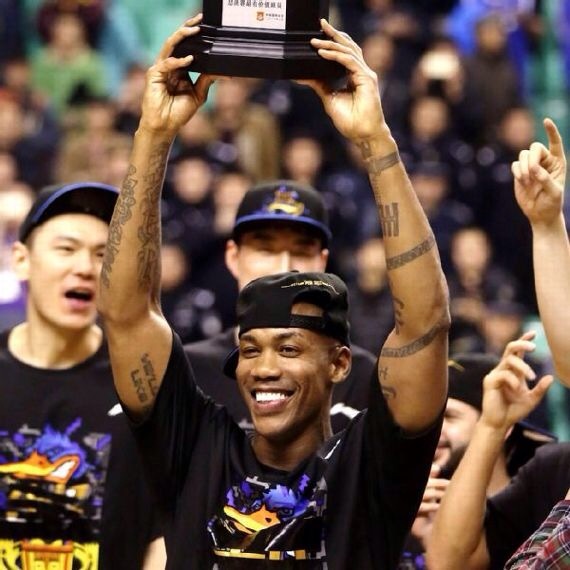 Once regarded as an enigma Marbury became a 3 -time champion (2012, 2014, 2015)of the Beijing Ducks of the Chinese Basketball Association .Marbury has a statue, postage stamp, & a musical inspired by his 2nd act in Beijing. In March Marbury captured his 3rd championship ( Averaged 29.7 PPG, 4.8 Rebounds, 5.7 Steals named Finals MVP) and to cap off a great 2015 a 300 square feet museum will open on December 28th to honor Marbury’s career with the Ducks. So in life when you feel like your at rock bottom or feel that your current situation will be your final destination….draw inspiration from Stephon Marbury and re-invent yourself!!! !